It's always a surprise to see brown people at an Institute of Public Affairs event, but there they were. 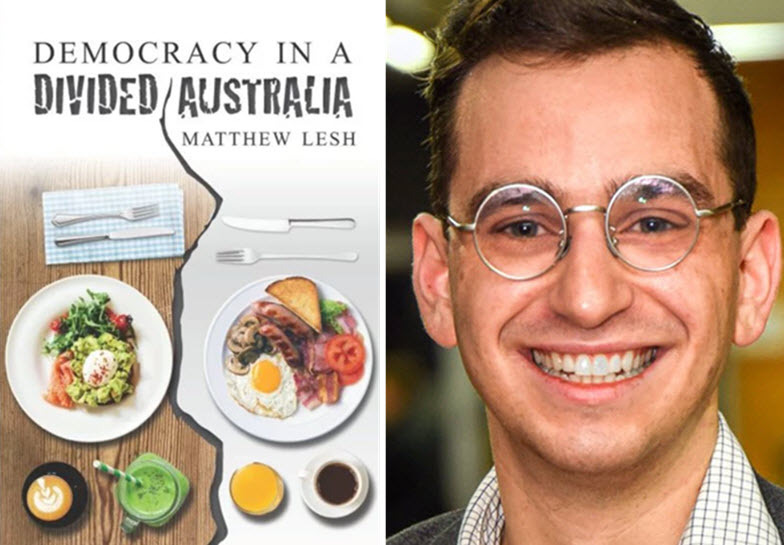 Last Friday night a youngish crowd including several Sri Lankan women and a very anti-Communist Chinese guy gathered at a trendy Melbourne CBD bar to launch the first book of a young IPA-type named Mathew Lesh. The book, Democracy in a Divided Australia, is highly referenced with plenty of data and quantitative analysis. The notes and bibliography combined make up 73 pages. Though it looks like a PhD thesis, to Lesh’s credit, the 210 pages of text are very accessible read. Quite a change from the poorly referenced negativity one usually gets from our handful of right-of-centre thinktanks.